Lewis Hamilton dominated the second free practice session for Formula 1's French Grand Prix, topping the times by seven tenths of a second. 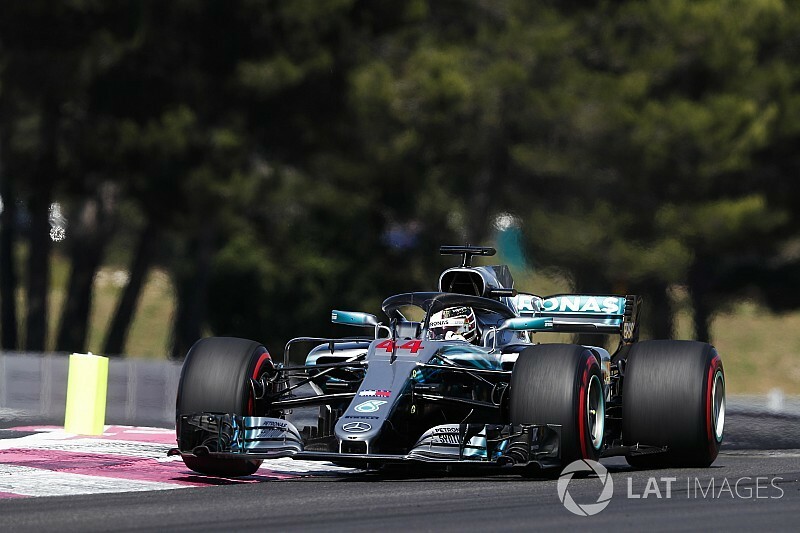 The Mercedes driver set the pace early on with his speed on the supersoft Pirellis but was relegated to second by Daniel Ricciardo's 1m33.243s, which was set on ultrasofts just before the halfway mark of the session. Hamilton was one of the last to head out for a performance run on ultrasofts, but was forced to abandon that attempt while on his out-lap when the session was red-flagged after 42 minutes. 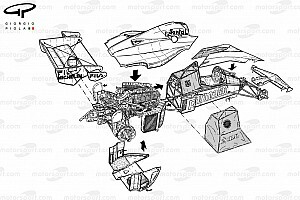 This was thanks to Sergio Perez's Force India shedding its left-rear wheel at Turn 7 and spinning onto the Mistral Straight. Perez was on the second lap of a run at the time having headed out on ultrasofts. Hamilton headed out after the red flag on the same set of tyres and posted a 1m32.539s on his first flier, setting a particularly strong pace through the final sector. 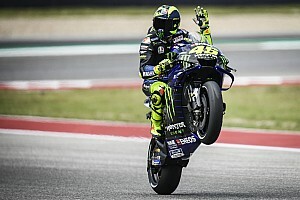 He then had another attempt after a cool-down lap, setting the fastest middle sector of all but posting a time two tenths slower than his best. 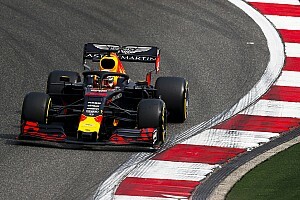 Ricciardo held on to second place, although Red Bull teammate Max Verstappen slotted in just 0.028s slower on his ultrasoft run following the red flag. 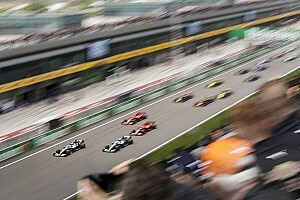 Ferrari driver Kimi Raikkonen also improved after the break, briefly taking third before being shuffled back to fourth place when Verstappen improved. That put him 0.263s faster than teammate Sebastian Vettel, who set one quick lap on ultrasofts before the red flag. Haas driver Romain Grosjean, like Hamilton, was on an out-lap when the red flag was put out so had to abandon his first ultrasoft run. But he leaped up to sixth, 1.160s down, after the restart. That put him ahead of Mercedes driver Valtteri Bottas, who showed strong pace on the soft Pirellis early on and had headed out on ultrasofts just before the red flag. Bottas was unable to return to the track after the restart, with the team removing the floor to investigate a water leak that kept him out of the rest of the session. Fernando Alonso seized eighth place with three minutes remaining with a lap 1.861s off the pace. The McLaren driver focused on using the soft Pirellis for much of the session before bolting on ultrasofts late on to jump up the order from 13th. He then spun at Turn 4 later in the run after losing it on the exit kerb. Kevin Magnussen took ninth place, just ahead of Pierre Gasly, with the pair among the earlier drivers to bolt on ultrasofts and both temporarily breaking into the top five. Nico Hulkenberg, who got in one flier on ultrasofts before the red flag, was 11th, 2.528s down despite problems with the change of wind direction compromising the balance of his Renault in the first part of the session. Carlos Sainz was just 0.019s slower than his teammate in the second Renault, slotting in ahead of the McLaren of Stoffel Vandoorne. Sauber driver Charles Leclerc and Toro Rosso's Brendon Hartley completed the top 15. Hartley's session came to a premature end with nine minutes remaining when he was told to stop after a loss of power - leading to the virtual safety car being deployed. 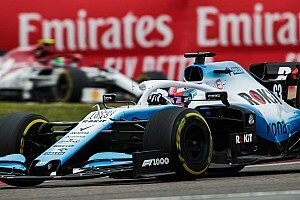 Esteban Ocon was 16th ahead of the two Williams cars of Lance Stroll and Sergey Sirotkin, with Perez classified 19th having posted his best time on softs before his incident. Marcus Ericsson was unable to run as a result of damage sustained in his crash at Turn 11 during the first session of the day.